Back in February of 2016, I released a post about the importance of landscape connectivity for tigers. Populations of large mammals that become isolated are vulnerable to local extinctions, as a result of: inbreeding, stochastic events (natural disasters and other unpredictable happenings), poaching, and more. This new article by Becky Ferreira highlights a crucial project designed to maintain habitat connectivity for jaguars. Jaguars are unique among large predators, in that they have no genetically distinct subspecies. 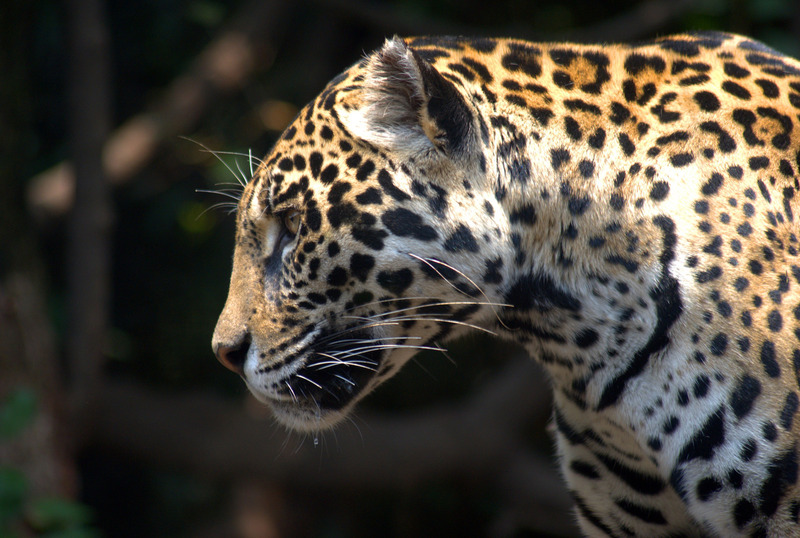 All jaguars, ranging from Southern Arizona to Northern Argentina, belong to the same species. But the genetic integrity of Panthera onca is increasingly threatened by habitat loss and fragmentation. That’s where Panthera’s Jaguar Corridor Initiative comes in. The big cat NGO (non-governmental organization) Panthera is attempting to maintain landscape connectivity for jaguars. For years, they have been systematically determining which routes jaguars are using to move through human-dominated terrain. They then work with local people and Latin American governments to keep those pathways open for jaguars, and to make it easier for humans to live alongside this awe-inspiring cat. Ferreira’s article is a great introduction to the Jaguar Corridor Initiative. The story of how Dr. Alan Rabinowitz first realized the opportunity to pursue this project, and the process of how Panthera locates and protects jaguar corridors, is described in much more detail in Dr. Rabinowitz’s excellent book: An Indomitable Beast. It’s the top book in this site’s Recommended Reading section, and for good reason. It’s both well written and informative, and Dr. Rabinowitz does a great job of explaining complex concepts in accessible language. Do check it out! Panthera’s website also contains a section about the Jaguar Corridor Initiative, which makes for quick and easy reading. Interesting blog about jaguar corridors!